No detours will be posted for the closures. Each ramp is scheduled to close at 6 a.m. and reopen before the end of the same day that it is closed. 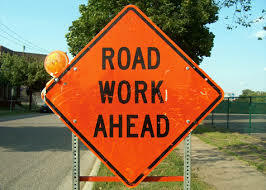 Crews plan to close County M (Elk Road) over I-39 on Monday, July 25. No detour will be posted. The road is scheduled to reopen in late September. Crews are planning to close US 51 at the bridge at 9 p.m. on Tuesday, August 2. During the closure traffic will be detoured via WIS 47 and US 8. US 51 is scheduled to reopen before 6 a.m. on Wednesday, August 3. On July 26, crews will close the WIS 54 median at County U. Motorists will need to use the new J-turn crossover lanes to access County U.
Birch Drive is closed over I-39. No detour is posted. The road is currently scheduled to reopen before July 30. 3rd Avenue is closed over I-39. No detour is posted. The road is currently scheduled to reopen before July 23. Traffic impacts: Business 51 is open to one lane in each direction. Crews will close WIS 54 on Monday, July 25 at 6 a.m. During the closure, motorists will be detoured via WIS 22/110, WIS 22, and US 45. The road is scheduled to reopen before the end of the day on Tuesday, August 2. Motorists can expect to encounter daytime, single lane closures and flagging operations.